In the early morning of April 9 1940 the Danish army is alerted. The Germans have crossed the border; Denmark is at war against Europe’s strongest army. In Southern Jutland Danish bicycle and motorcycle companies are summoned in order to hold back the forces, until the Danish reinforcements can be mobilized. During these crucial hours we follow second lieutenant Sand and his bicycle company. 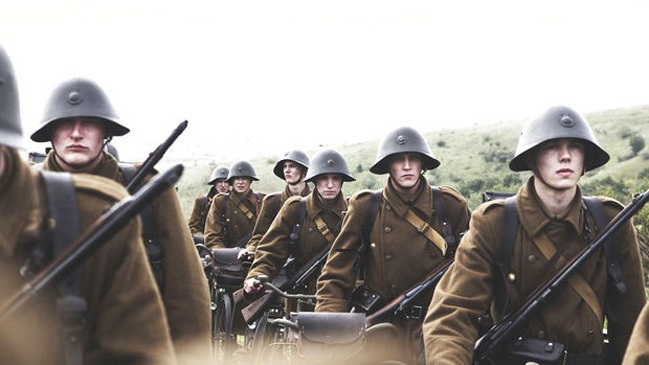 They will, as the first Danish soldiers, meet the enemy in combat on April 9, 1940. Pilou Asbæk plays the lead in Roni Ezra’s feature debut, written by award-winning writer-director Tobias Lindholm (A Hijacking, The Hunt). Producer team Tomas Radoor and René Ezra from Nordisk Film are regular collaborators with Lindholm and Michael Noer.